Education is a high priority in Hunterdon County. All school districts are engaged in improving curriculum and increasing professional development opportunities. There has been a marked expansion of offerings in alternative and special needs education, adult education, new courses and methodologies in the general curriculum, facility planning and vocational-technical education. Our public schools continually evaluate their programs, methods and materials, which consistently meet standards far above the state minimums. Each municipality has its own grade school district, except Raritan Township and the Borough of Flemington, which are combined in a regional K-8 district. The Town of Clinton and the Borough of Glen Gardner function as a combined Board of Education with all students attending The Town of Clinton K-8 school. The County (437 square miles - 26 municipalities - 128,349 population per the 2010 census) has 27 school districts (3 regional high school districts, 1 K-12 regional school district, 1 vocational school, 1 alternative school, 1 regional elementary district, and 20 elementary districts) with approximately 20,538 pupils. The 27 school districts include 50 school buildings and employ approximately 3,400 full instructional, supervisory and administrative positions. Local school budgets prepared for the 2015-2016 school year total $440,011,178. Listed below are links to all the individual school district web sites which will provide faculty information, school calendars and events, addresses and driving directions, and much more! 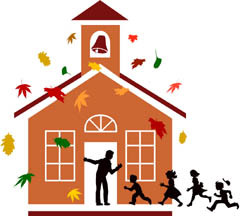 If you want more information regarding the education environment in Hunterdon County, take a look at the official State of NJ Department of Education School Performance Reports for the School Year 2014-15. Here you can evaluate average class sizes, school hours, curriculum, student/teacher ratios, graduation rates and much more!